Federal and state proposals could erode health-care savings and pave the way for less ecologically sound disposal methods. 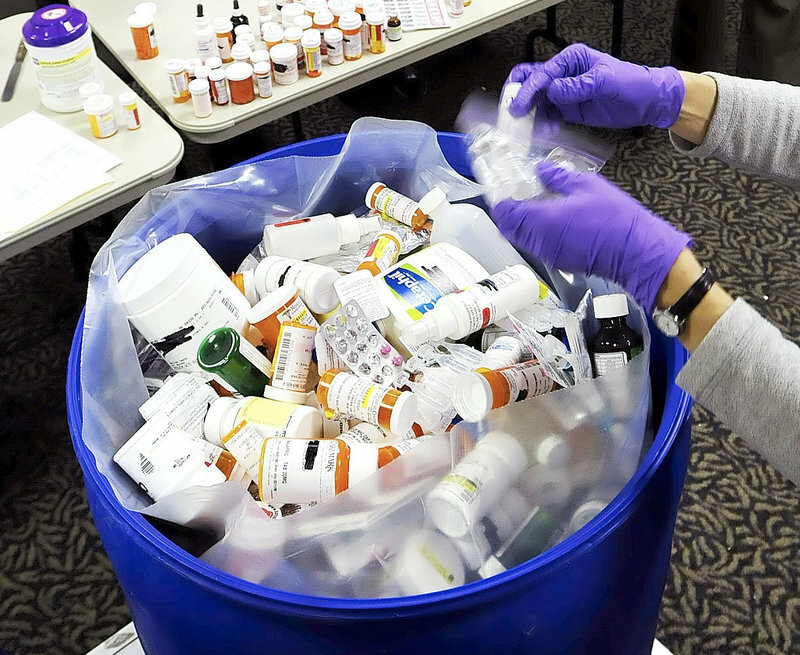 AUGUSTA – Maine leads the nation in drug takeback efforts, in which citizens voluntarily return unused pharmaceuticals to keep them out of the environment and the hands of those who would sell or abuse them. 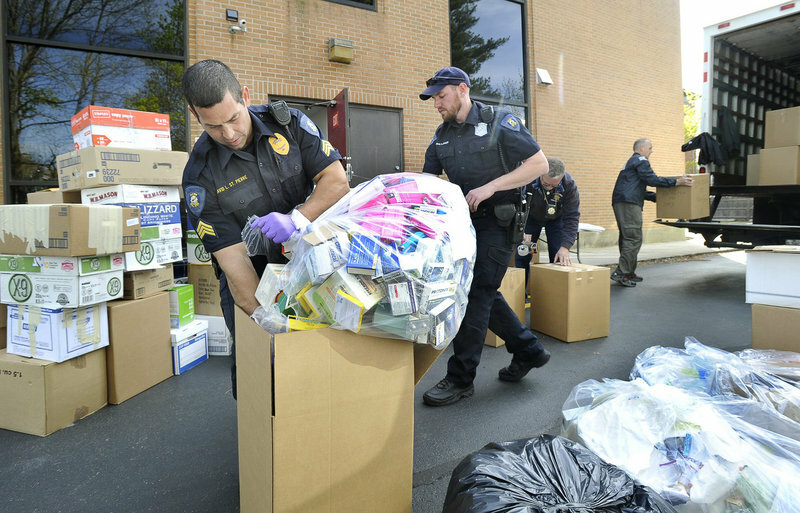 Year after year, Mainers have handed in tens of thousands of pounds of drugs during federally sponsored national takeback days, more per capita than any other state. But expected changes in federal and state policies could weaken some of the programs’ benefits, both in terms of environmental protection and in driving down health care costs. The state is seeking to change how collected drugs are disposed of, while proposed changes on the federal level would outlaw efforts to tabulate what drugs are being wasted. The U.S. Drug Enforcement Agency has proposed rule changes for drug takeback programs that forbid authorities from gathering data on what drugs are being returned and in what quantities. Such data has been used to reduce the cost of MaineCare — the state’s Medicaid program — by imposing 15-day limits on the initial prescriptions of often-wasted drugs, many of which are opiates. Asked whether the DEA had considered the potential cost savings to state Medicaid programs, DEA spokeswoman Barbara Carreno declined to comment, citing the provisional nature of the rule. The proposed rules are undergoing a 60-day public comment period that ends Feb. 19. Sen. Susan Collins — who spearheaded key 2010 federal law supporting drug takeback programs — expressed concern over the proposed measure on learning of it from a reporter. “I intend to ask the DEA to further explain why its proposed rule would prohibit the gathering of this information,” Collins said. Nationally, an estimated 40 percent of drugs prescribed outside of hospitals go unused, creating a health and environmental hazard. Flushed down the toilet or discarded in landfills, their contents can contaminate birds, fish, and drinking water. Left in the medicine cabinet, they can be stolen by criminals or abused by children and teens. Maine has the oldest population in the country — a source of drugs — and a serious prescription drug problem, particularly in rural areas. Takeback programs aim to provide a safe, secure and anonymous way for people to dispose of unused and unwanted drugs. Since 2010, the DEA has sponsored five national “takeback day” events and paid for disposal of the collected drugs. In Maine, drugs turned in to collection boxes at police stations have been handed over to DEA on takeback days for disposal. DEA will sponsor another takeback day — possibly its last — on April 27. DEA drug-disposal funding is widely expected to end later this year, shifting disposal costs back on local and state authorities. In expectation, Gov. Paul LePage last year created a prescription drug abuse task force whose duties include developing disposal solutions. According to Greg Couture, assistant to the commissioner for public safety, the task force is entirely funded by a $60,000 grant from the Pharmaceutical Research and Manufacturers of America. PhRMA successfully opposed a 2010 bill that would have required its member drug companies to fund Maine’s drug takeback programs. State Environmental Protection Commissioner Patricia Aho, who chairs the task force’s disposal subcommittee, has reinterpreted disposal rules to allow collected drugs to be treated as household waste rather than hazardous waste. The shift paves the way for the drugs to be burned at municipal waste incinerators in Portland, Auburn and Orrington, rather than being sent out of state for disposal in more permissive locales or by hazardous waste combustors. “As things now stand, there is not any solid waste disposal facility in Maine approved by the DEP to accept unsorted pharmaceutical waste,” Macirowski wrote. Michael Wardrop, the head agent at the DEA’s Portland office, said the old interpretation “put the wall up” against in-state incineration of unsorted drugs. The new interpretation holds that loads of several hundred pounds of drugs do not constitute an “unusual quantity” under the rules, on the grounds that they represent a tiny percentage of the municipal waste plant’s hourly burn load. As a result, they can be categorized as household waste. A review of hundreds of pages of department files and interviews with a dozen sources involved in the issue suggested there is a difference in opinion between air quality experts (whose data supports the changes) and solid and hazardous waste specialists (who remain concerned about whether the substances will be fully destroyed). Marc Cone, director of the DEP’s Bureau of Air Quality, notes that air emission tests for dioxin and other relevant substances recently conducted at the ecoMaine incinerator in Portland suggest that any drugs presently in the household waste stream are being cleanly burned. The department hasn’t been able to test the effect of several hundred pounds being burned but plans to do so with some of the drugs collected during the DEA’s April 27 takeback event. Solid waste experts at the DEP appear to have had reservations about the proposed shift, according to internal emails obtained through a public records request. Others expressed concern about the lack of data. “The concern with pharmaceuticals is that even a small amount of some of the persistent agents don’t completely combust, they can leak out, and they have very small thresholds where they can have an effect,” said toxicologist Melinda Treadwell, provost of Keene State College in New Hampshire. Because of the lack of data, the EPA recommends that takeback programs dispose of unwanted medications “in a permitted hazardous waste incinerator or cement kiln.” As a fall-back position, it recommends that they be burned in municipal incinerators, as this is safer and cleaner than other alternatives: having people throw them in landfills with their trash or flush them down their toilets. Currently, collected drugs are being burned at a municipal waste plant in Haverhill, Mass., under an environmental waiver negotiated by the federal DEA, according to Wardrop, the head agent in Portland. If federal funding for takebacks ends, that option would likely evaporate, he said, potentially leaving state and local law enforcement with disposal costs of up to $5 a pound at an out-of-state hazardous waste facility. Burning drugs at municipal waste plants would likely be much cheaper, Wardrop said, about $80 a ton, or 4 cents a pound. Stevan Gressitt, founding director of the University of New England Institute for Pharmaceutical Safety, who sits on the drug task force, says the cost of inaction is even greater.